class="post-template-default single single-post postid-358964 single-format-standard custom-background group-blog header-image full-width singular wpb-js-composer js-comp-ver-5.7 vc_responsive"
The Association of Equipment Manufacturers released its “Flash Report” that says the total number of tractors sold in the U.S. was up seven percent when compared to 2017. The number of tractors sold in 2018 totaled 235,856, seven percent higher than the 220,605 tractors sold in 2017. During December of last year, the sales of two-wheel drive smaller tractors (under 40 horsepower) were also up seven percent compared to December of 2017, while sales of tractors with engines between 40 and 100 horsepower were four percent higher than the previous December. 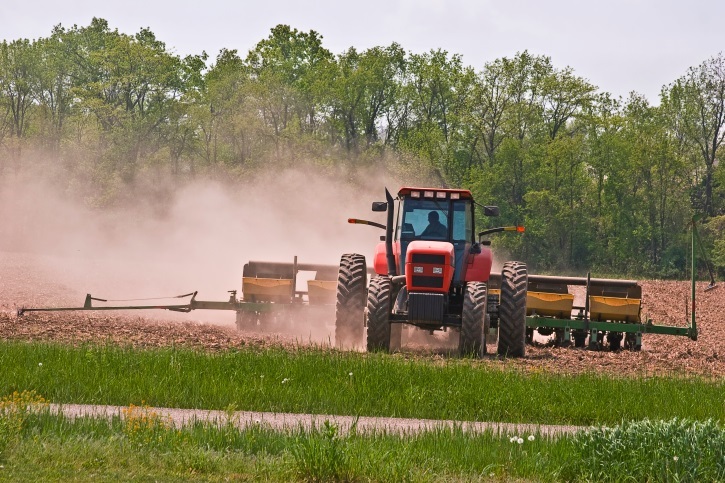 Sales of two-wheel drive tractors with 100+ horsepower were up six percent in December of 2018, while the sales of four-wheel drive tractors dipped by nine percent from the previous December. For the year, two-wheel drive smaller tractors under 40 horsepower were up nine percent from 2017, while sales of 40 and under 100 HP engines were two percent higher. Sales of two-wheel drive tractors 100+ horsepower were up six percent, while the four-wheel drive tractor sales were up 13 percent. Combine sales were up 30 percent for the month of December. Combine sales for the year came in at 4,849, compared to 4,104 in 2017, an 18 percent increase.